The recent jump in Treasury bond yields indicates that the US is barreling towards a potential recession and market meltdown at an increasingly fast pace, according to former Republican congressman Ron Paul. “We’re getting awfully close. I’d be surprised if you don’t have everybody agreeing with what I’m saying next year some time,” the retired politician told CNBC. Paul’s remarks come as the benchmark 10-year Treasury yield rallied to seven-year highs, intensifying fears over rising inflation. 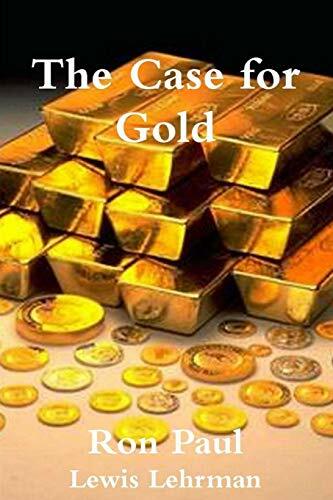 The Case for Gold Ron Paul, Lewis Lehrman Best Price: $20.05 Buy New $8.95 (as of 07:10 EDT - Details) It’s not the first time that Paul has made such dire warnings. He has been cautioning investors for years that when the bubble eventually bursts, it could cut the stock market in half or more. Paul predicted the February correction, but not in terms of its size and scope. The former congressman acknowledged that his previous predictions of a downturn haven’t come to pass, but said that it’s just a matter of time, based on the looseness of US monetary policy since the 2008 financial crisis. A number of other politicians have also voiced concerns over ballooning deficits, including current US House Speaker Paul Ryan, who issued a warning regarding the nation’s debt in 2012.